How does the U.S. immigration ban affect global relocation? 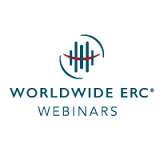 Please join Worldwide ERC and Fragomen Worldwide on Tuesday, February 14, 2017 from 2:00 – 2:45 p.m. (EST) for a webinar that will provide the most recent information on the status of the Executive Order setting out a U.S. immigration suspension for certain nationalities, and the ban’s impact on mobility. Is there a way to predict what changes will be made? Will we see an immediate impact on high-skill visa holders and the employers who depend on them? What is the likely impact for the H1B program, business visas, optional practical training for STEM students, and employment for H1B spouses? Will there be increased use of federal audit and compliance investigative authority? What kind of timing should we expect for changes to be implemented? About Relocation America International: Relocation America is a full-service relocation management company headquartered in Southfield, Michigan and known for an unwavering commitment to providing the highest levels of client service and customized global mobility solutions, value-added support, and superior customer service to their clients. RAI passion and high-touch client care results in exceptional service delivery through their single point of contact service delivery model, which reduces costs, raises service levels and allows for quick and easy information flow from transferring employee to client contact. This entry was posted in Global News on February 9, 2017 by reloamerica.